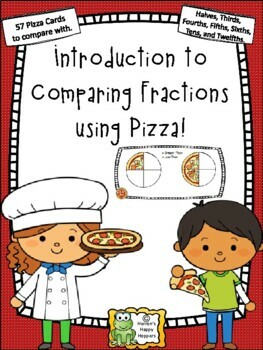 This resource is intended to help students grow in their understanding of how to compare fractions. The fractions have like denominators. Students will have the opportunity to engage with halves, fourths, fifths, sixths, tenths, and twelfths. The pizza picture are on the cards. 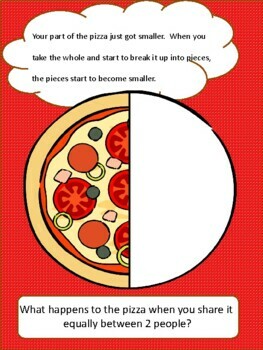 Students need to write the fraction that is represented under each pizza. Then the students need to write in the greater than or less than sign to make a TRUE statement. Blank pizza boxes are available as well. Laminate these and have students fill them in to make True statements. There are also 4 Student Response pages for students to complete. These pages can be used for practice or assessment. The resource works well as and introduction mini-lesson to the whole group using a projection camera or printed slides. 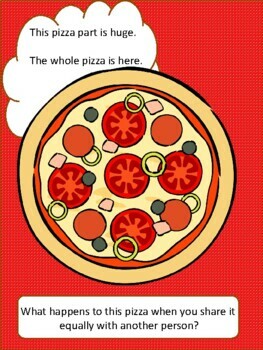 The pizza cards should be printed and laminated for further use in guided groups and math centers. 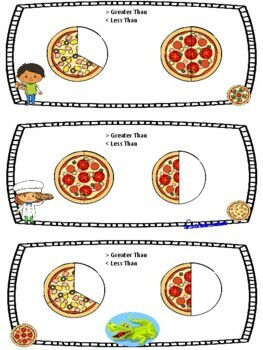 I hope this engaging pizza activity will help your students begin to understand how to compare like fractions.